The Sony hacking saga continues to reveal on-going projects, with the latest being early images of the upcoming Xperia Z4. Just when it seems things can't possibly get worse for Sony, another leaked secret steals the headlines. Spotted by Gizmodo, images of the Sony Xperia Z4 were attached in numerous emails discussing the recently announced James Bond film Spectre. The images appear to be part of a major product placement pitch for the upcoming 007 flick. Expected to officially debut at MWC 2015 in March, the trove of leaked emails suggest that the Sony Xperia Z3 sequel will feature heavily in the new spy film. “Sony Mobile has now provided us with the needed visuals of the new Z4 phones,” Sony's Executive Vice President of Consumer Marketing, George Leon, said in an email. On top of the Xperia Z4 poised to launch in May, it appears another version (possibly an Xperia Z4 Compact) will arrive later on in November. 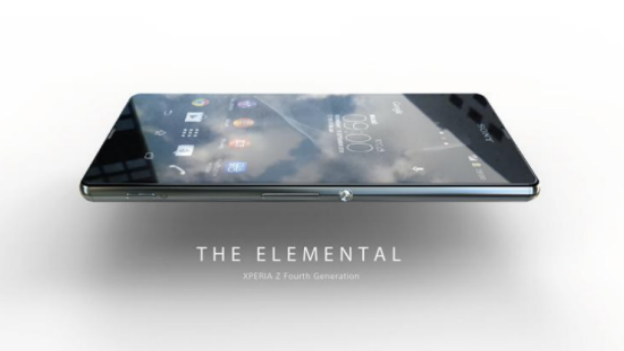 Featured (above) with the tag line “The Elemental – Xperia Z Fourth Generation”, the Xperia Z4 sports a futuristic look with a mirrored front and back. The slims handset has been stripped down, with just Sony's large lock key on the right side along with the volume rocker and camera button. The Sony Xperia Z4 was not the only concept pitched for inclusion in Spectre. An unknown Sony smartband has been dug up in pink, green and blue variations. The wearable seems more of an activity tracker, but the images look like mock-ups so a lot could change before its released. That's all we know right now, but stay tuned to T3 for all the latest.